Congratulations to our team and friends at Restoration Hardware for winning the Chicago Landmark Award for Preservation Excellence for The Three Arts Club! 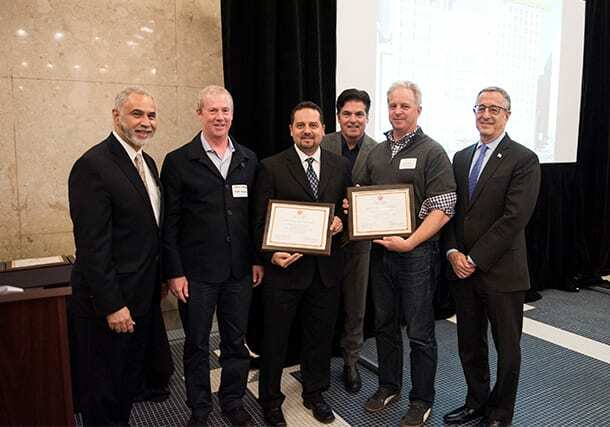 The award is given by the Commission on Chicago Landmarks to projects that promote the city’s architectural history through preservation of its historic and cultural heritage. The original 1914 Holabird and Roche building was renovated as Restoration Hardware’s new gallery with the atrium space brought back to life as a restaurant with a stunning glass roof structure. Masonry repairs and restoration of historic windows and ground-floor spaces revitalized the Byzantine-inspired design that is integral to the Gold Coast neighborhood.